To check out the position of modules in a template, you need to know how to do this. Here’s the article which is designed as per your priority so that it would be much easier for you people to look at the position the modules in your template. Step 1: Login as Administrator, then on the dashboard “Extension” menu is displayed, click on the arrow next to it, you”ll see various categories under this menu, go to “Template Manager”. Step 2: At the top right corner on the screen “options” button is available just click on it. 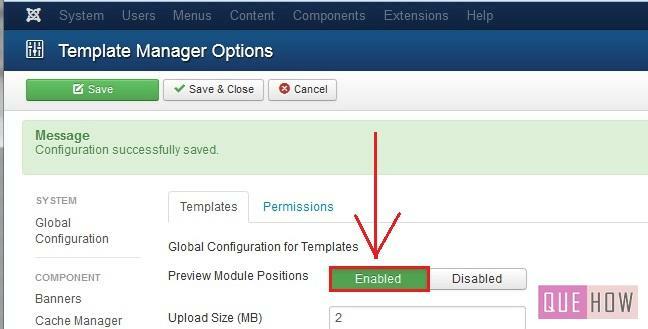 Step 3: Under “Templates” category, click on “Enabled” to activate “Preview Module Positions” option so that you would be able to look at the position of each module. Step 4: Click on “Save and Close” then a message will appear at the top which ensures that changes are successfully saved. 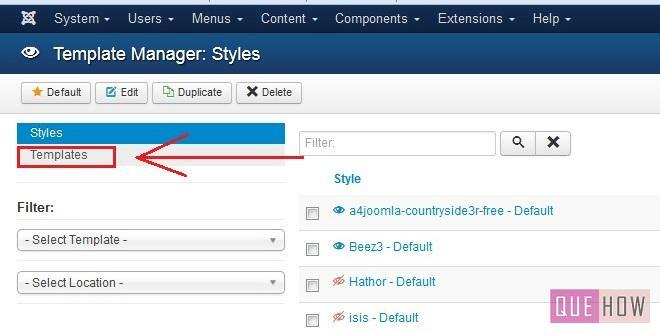 Step 5: Now under Template manager, by default styles category is selected, but you need to go to “Templates” so click on it. 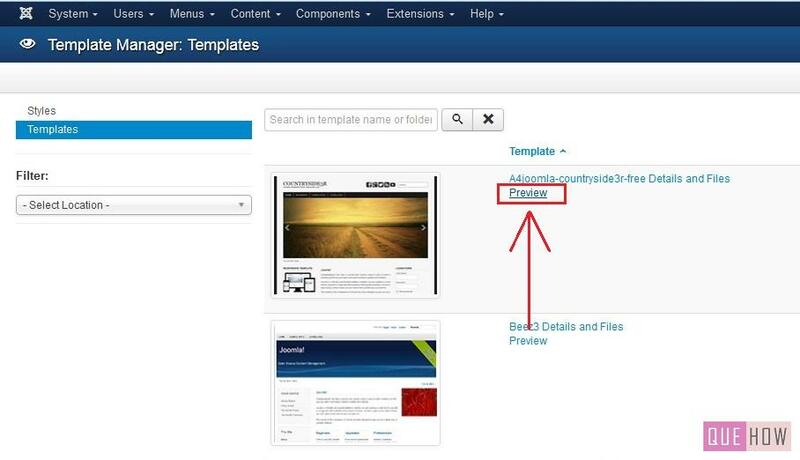 Step 6: Click on “Preview” option to look at the sample of the template. Step 7: Once you click on “Preview’ you”ll be redirected to your website’s sample page where each module and its position is displayed as shown in figure below.